"I don't know what I want to do!" | SeibCo, LLC. “When my daughter graduated from college years ago, she was uncertain what she wanted to do. She had worked in an office and a restaurant. Now, she was looking for a career, not a job. In less than a month of working with Jeannette, she was ready! She had clarity of what she wanted to do, would be good at and the type of companies to look for. Armed with all this information and coaching, she chose a position in sales. Because of her career preparation, she only considered companies that provided training that fit her interests. It’s now 11 years later and she has worked in three different sales positions in two different industries. She has earned a six figure income for many of those years and has always been one of the top two performers in each company. Many employees today are unhappy and dissatisfied with their careers, work responsibilities and job prospects. 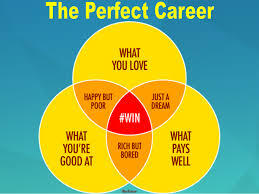 Statistically, about 63 to 79 percent are in the wrong job, career, industry, profession, company, etc. Yet, many fail to take the time, expend the energy and make the investment to find the right career path that fits them for the long term. They believe in the myth that there is a right time to find the right career path; and it will happen … someday … in the future. Or, they are waiting for their employer, parents or others to provide that information to them. The problem is, it never happens without taking the initiative and doing the right things for ourselves. The Pathway PlannerTM uses the same assessment information (based upon the world’s largest validation and reliability studies) that thousands of companies use to hire. (Contact http://SeibCo.com/contact.) This educational and career planning tool helps people discover what career possibilities best suit them at any age (16++). The key, like anything, is taking action and learn about different career paths that may fit. SeibCo provides the how-to-do-it in the book, It’s Time to Brag! Career Edition, (Time2Brag.com). This book also includes networking and interviewing advice for success.